Excellent for all ages and abilities, it offers challenges for players of every skill level because of its clever design. 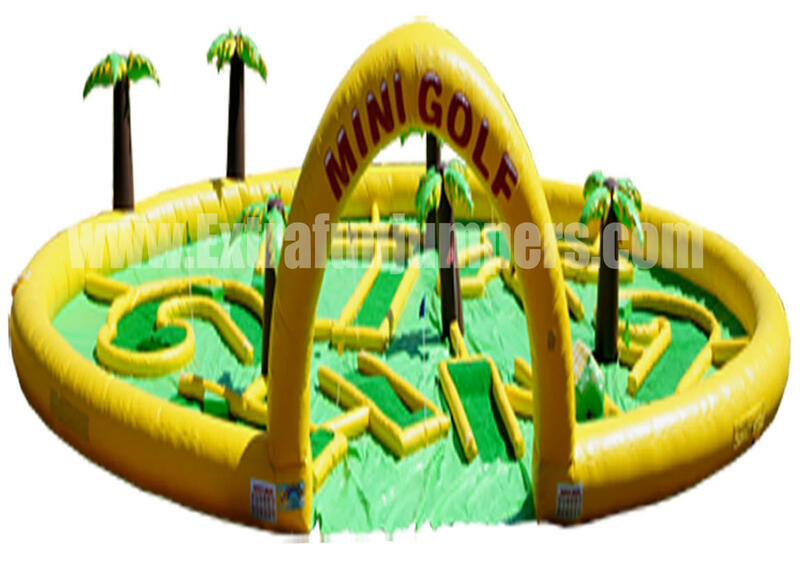 This is the only portable and inflatable mini golf system where comes with traps and the greens are raised and lowered to create realistic golf course landscape and challenges. 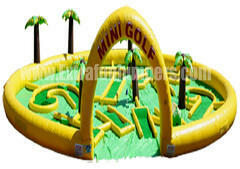 Without doubt, this attractive and unique Mini Golf game will thrill and delight your guests, offering fun that incorporates many obstacles. it can be setup indoor or outdoor. Great for your next carnival, corporate event or just a backyard party.